Review: Skinfood - Red Bean BB Cream from Keautystore | Memorable Days : Beauty Blog - Korean Beauty, European, American Product Reviews. BB Creams, I just can't stop loving them! It has been such a hype last year and I'm sure that this hype will continue in the current and upcoming years. I'm actually quite amazed that it has become so popular in Europe. 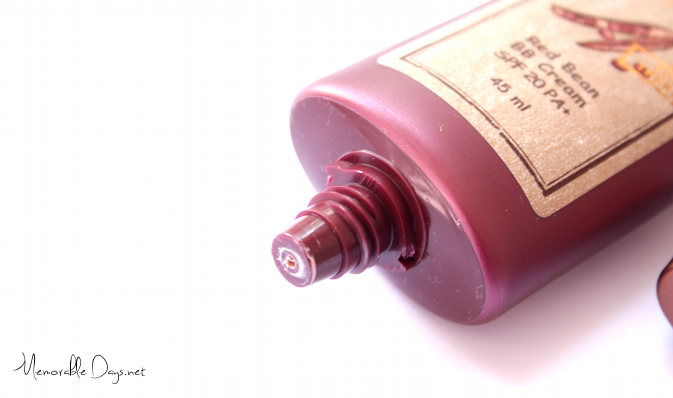 It has become so popular that even Dutch beauty bloggers started to use Asian BB Creams. Anyways, this is my first time trying a BB Cream of the Korean brand Skinfood. Continue with reading for the review and swatches. It's an hydrating BB cream with red beans that nourishes and moisturizes rough skin while providing natural yet flawless coverage. Use it after your daily skincare regime and apply an even layer onto the face in upward- and outward motions. It's sold in two shades: #1 Light Beige and #2 Natural Beige. This is #1 Light Beige which is most suitable for people who are between NC15 and NC20 i think. There is 45ml of product in this tube. It also has SPF 20 PA+, which is great during summertime. 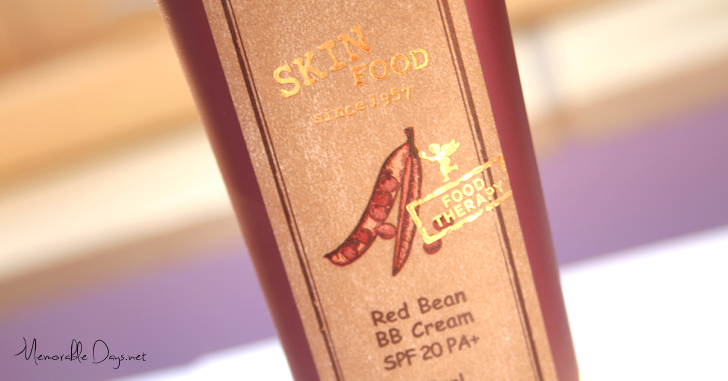 WHERE TO BUY SKINFOOD - RED BEAN BB CREAM? You can purchase it at Keautystore.com and it's sold for $17.50 (link to the product). Feel free to use my coupon code: blog115 to get 5% OFF! This online shop sells a lot of Korean beauty products including the brand Skinfood, check their assortment out if you have time (link to their Skinfood assortment). It took around 2 weeks until I received it in The Netherlands, which is quite quick since they are shipping it from South-Korea. The packaging has a nice bordeaux red color that I like. The BB Cream is in an squeeze tube but unfortunately there is no pump which would be more hygienic but this works fine as well :). Just wash your hands before you are going to apply this or use a beauty blender or brush. This BB Cream is quite sheer but blends easily into the skin. It adapts to your own skin color which is great. As you can see in the swatches below it has a pink undertone (the colors in the pictures are true to the real color of the BB cream). The finish is semi-dewy, but it does gives you a healthy look. This hydrating BB cream is suitable for people with dry or normal skin type. People with a very dehydrated skin should use a great moisturizer before applying this, since it's not hydrating enough for those. The coverage is light, you are not able to cover your dark spots or acne scars. It's easy to build it up without leaving a cakey finish, but you are still able to see your dark spots. I think that this BB cream is more suitable for people with flawless skin or with small blemishes. You can just apply one layer if you want to even out your skin tone or if you want to cover your red spots, it works fine for that. I think that the texture and the coverage is quite similar to the Dr. Jart+ Most Moist BB cream (read review). If you are normally using the Dr. Jart+ bb cream I would suggest to try this one, since its similar and a lot cheaper. It does have a bit of a red bean scent but it is pleasant. It's not overwhelming so i'm sure most of you won't dislike it. I'm loving this BB cream so far. It looks natural with a few imperfections (my freckles), while it still covers them enough to make them not too outstanding. 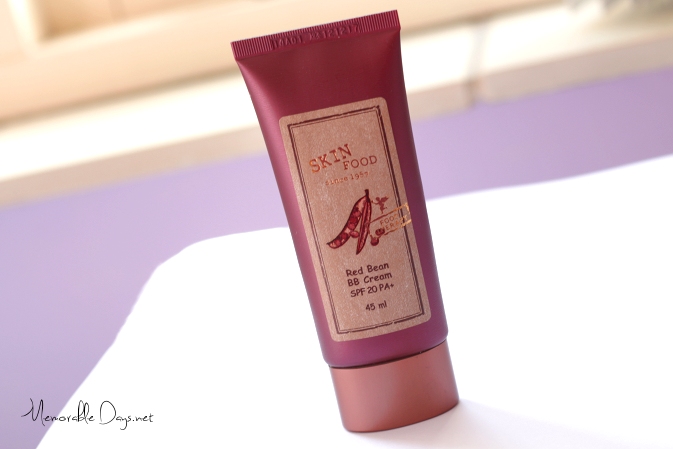 The Skinfood Red Bean BB Cream is a great cream and probably best suited for people with dry or normal skin who just wish for a minimum coverage. If you would like to purchase this BB Cream, go to www.keautystore.com (link to the product) and don't forget to use my coupon code: blog115 to get 5% OFF! They ship worldwide :).